What to look for to make the right choice for you - including a checklist of tricks and traps used to snag the unwary. A good martial arts school should have plenty of room for its students. Whether you choose karate, tae kwon do, judo or wushu - aka kung fu - with a bit of research, one can find excellent martial art schools of every style or system. 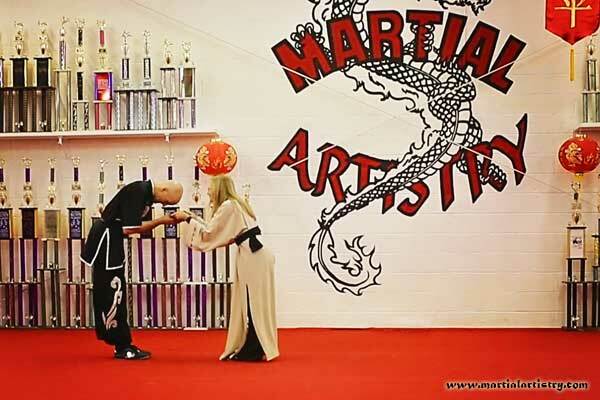 Regardless of their chosen style, those who study the martial arts under a caring, attentive, qualified instructor will learn not only self-defense, but reap the rewards of fitness, respect for self and others, and the knowledge that hard work leads to achievement. Most people just starting out don't even know there are many different styles or systems in the martial arts. 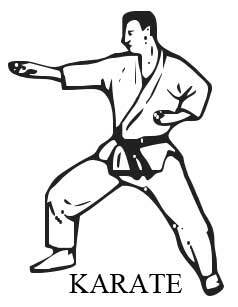 They will often refer to all martial arts as karate, which is probaby the most widely recognized style in the United States, as karate was the first Asian martial arts style taught here commercially. However, the choice of style or system is of the utmost importance. Your training will be a major investment of time and money, so be sure to find a system that appeals. Say for example your interest is only in hand to hand personal self-defense. I typically recommend the Israeli martial arts such as krav maga and haganah to those interested in a self defense system with a fast spin-up. If you'd like to fight full contact for sport, I'd recommend boxing, kickboxing, MMA (Mixed Martial Arts) or a sanshou aka. sanda (Chinese style free-fighting) school. Every martial art has something for someone. The Japanese/Okinawan percussive systems, such as karate, are linear, static and simplistic, but this can be a plus, as it makes them relatively easy to learn. Focused on the upper body, they must rely a great deal on mass to make them effective. Weapons training is very limited. 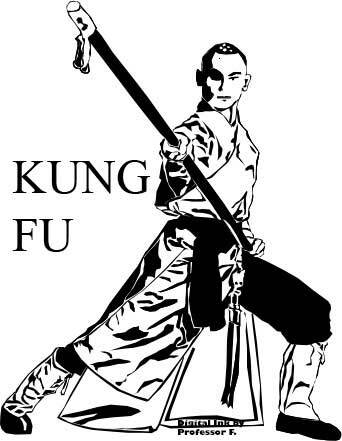 If offered at all, weapons are typically limited to tonfa, sai, bo staff, kama and nunchaku. Uniforms are typically white, with open jackets that are folded right over left. 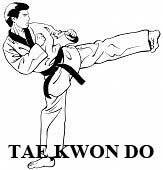 The Korean systems, such at tae kwon do, are more evenly distributed between hand and leg techniques, and are somewhat less static than karate. The style is still relatively simplistic and linear, thus easy to learn. As with karate, if weapons training is offered at all, it is typically limited to sai, tonfa, bo staff, kama and nunchaku. Uniforms are typically white, with a closed jacket that has a v-neck. The martial arts of China, called wushu or kung fu, are typically fluid and fast, relying on circular motion that requires less mass to be effective. Bruce Lee, Jet Li and Jackie Chan all used wushu -- or what people here in the US often call kung fu. On this website, we will use both terms interchangably. Kung fu techniques are more evenly distributed between hand and foot. The movements are more subtle and sophisticated than other styles, requiring more time to master, but rewarding the diligent student with an art that is as exciting to behold as it is legendary in combat. 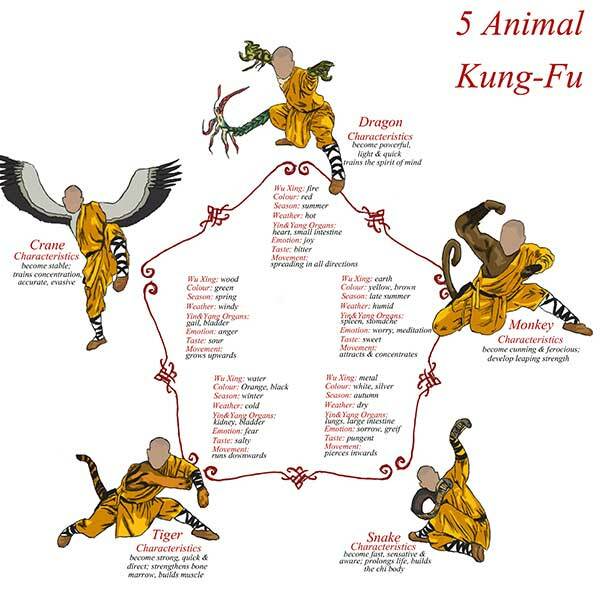 For those who are interested, wushu is the home of the animal style systems, such as tiger, crane, dragon, snake, leopard, monkey, eagle claw and mantis, among many others. These are often called "imitative" styles, which means that the movement imitates the actions of the animal. Kung fu is also where another famous imitative style is found - Drunken Boxing. 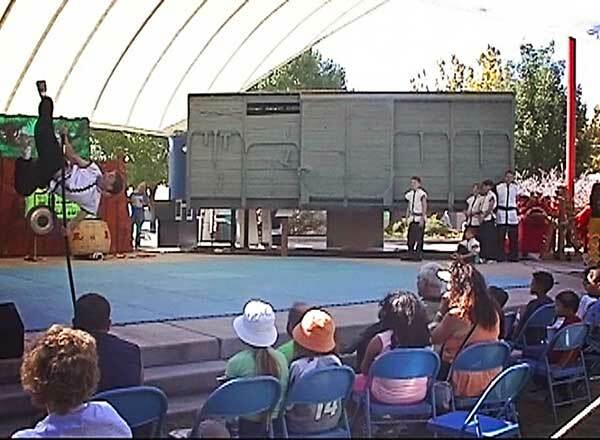 Martial Artistry student James "Sparky" Esparza performs kung fu drunken boxing at the New Mexico State Fair in Albuquerque. Many people find weapons training intriguing. A survey taken in China during the late 1990s and early 2000s catalogued over 400 different recognized weapons within the Chinese martial arts systems. Thus, weapons training in wushu is virtually unlimited. Below is the 5 year old "wushu cutie" performing a kung fu long fist beginner's form. As you can see, it is a lot more complex and fluid than even a black belt form from another style. This is why advancement at a legitimate kung fu school takes longer. It is not easy, but like most things in life, the greater the challenge, the greater the reward. When considering a school that uses forms, be sure to have an instructor or a student from that school demonstrate a kata, form or routine to get an idea of the flavor of the system to see if it is right for you. Remember, there is no "ultimate" style or system of martial art - what is important is what appeals to you. Whether you study karate or judo, capoeria or kung fu, aikido or jujitsu, tae kwon do or wushu, training with a caring, skilled instructor using a structured curriculum in a supportive environment will always bring benefits you will carry with you for a lifetime. Martial Artistry student Jonah Donnarumma performs kung fu monkey staff at the New Mexico State Fair. Curriculum refers to what you will be taught. While the martial arts style or system is a part of the curriculum, equally - or perhaps more - important is the structure of that curriculum. The school you choose should have a lesson plan and list of requirements for each level. There should be a logical progression system, with the basics, techniques and theories taught at each level used as building blocks for more the complex or difficult ones at the next. Some schools have no lesson plan or set curriculum at all. They simply throw all the students out on the floor and - regardless of whether they have been training for years or are taking their very first class - have them all learn the same thing at the same time. Provided students are learning something simple, it really isn't an issue, although it may be somewhat boring for the more advanced students. However, pushing a newcomer into something that is beyond their knowledge base and that their body has not been prepared for is a recipe for disaster. How are the students taught? Is there an instructor in front, doing their thing while the students struggle gamely to imitate, with little to no individual direction, correction or comment? While most martial arts schools do just this, it is hardly the best way to learn. A good school invests in instructors and a high instructor to student ratio, and structures training around true one-on-one teaching. Many schools claim one-on-one instruction, but rare is the school that actually does it. If you visit a class, and throughout the class, all the students are doing the same thing at the same time, imitating one instructor, that is not one-on-one training. No license is required to become a martial arts instructor. There is no universal governing body that oversees schools and teachers. Anyone can proclaim himself "Supreme Grand Master So-and-So", award himself an umpteenth level black belt, hang out a shingle, and proceed to teach. Some instructors make outrageous claims — everything from non-Chinese claiming to be the Grandmaster of the Shaolin Temple, to people claiming to have mastered "many" styles and then creating their own, "ultimate" system of martial arts. The quibble is not with people creating their own style — all martial arts styles were created by someone — but, anyone who claims to hold the secret of the "ultimate" style is delusional, at best. Like with any other purchase, healthy bit of research into the school of your choice will often save one grief. So, how to tell a good instructor? Certification of rank and teaching experience from another instructor is at least a start. Better still is proof of a winning record as a competitor — think of it as a judgement by peers that the instructor is at least a competent martial artist. But, most importantly, take a good look at the classes. Ask to visit the school while the normal class you wish to attend is in progress. If a school refuses to admit an observer for their regular classes... well... just ask yourself: would you buy a car the seller refused to allow you to see? While you're observing, note especially the interaction between the students and the staff. Do all the students receive attention, or just a chosen few with exceptional ability? Does the staff offer meaningful corrections and encouragement, or merely drill students without comment or aid, or with an automatic "good job"? What is the instructor to student ratio? What kind of training do those instructors receive? Are the students always engaged, or is there a lot of sitting and waiting while others have their turns? Loads of room and a 2" thick floor of carpet-bonded EVA foam make training safe and enjoyable at Martial Artistry. A good school will make an investment in the well-being of their students. Bear in mind that few operations are so likely to be "fly-by-night" as a martial arts school - an estimated 90% of them fail within the first year or so. An investment in a large, well-appointed facility is a good sign — it's easy to abandon a tiny, rented spot in a strip mall. You'll also want to know how long the school has been in operation. The floor in the training area is of utmost importance. Many students are unwittingly injured by hard, repetitve motion on an insufficiently cushioned surface, such as concrete, tile or standard carpet. In these settings, spine, knee and ankle injuries abound. The surface is especially critical if one is doing an art that involves any kind of jumping, grappling or aerial movement. The size of the training area needs to be adequate for the number of students. This is especially critical for kung fu, as the forms (katas, if you study karate) take up a great deal of room, especially for weapons work. Also important if you want to learn weapons is the ceiling height. If you want to study long weapons, such as staff or spear in wushu (kung fu), and the ceiling height is less than 15 feet... well... you either have to be very, very short or go outside to train. If you choose to train in karate, tae kwon do, judo or another grappling art, the ceiling height will typically not be a consideration. Speaking of going outside to train, climate control is also important. The building should have heating, cooling and good ventilation. Bathrooms, of course, are a must. Mirrors are also essential, so that students have visual feedback in order to correct their movement. Amenities like changing rooms, drinking fountains and on-site sport shops are also convenient. Some martial arts schools use contracts or hidden fees to get more money from the unwary consumer. Here are some of the most common to watch out for. Contracts: The biggest and worst of the traps. This is a sure sign that the school in question feels that their program is so poor, they'll never keep you any other way. You have to be wary of this one, because some schools will claim they have "no contracts", but then want you to sign up for "memberships" — which is simply a contract by another name. Regardless of the terminology, if you have to agree to pay for your classes for an extended period of time — making you monetarily bound to that school — it indicates the facility lacks confidence in its ability to deliver what you desire. Testing Fees: Most martial arts schools have belt (or sash) ranks. Colored belts are used to mark levels of training, and students typically test in order to move upward in rank. Most of those new to the martial arts will not even know about ranking or testing, so they won't know to ask about testing fees. At first, the testing fee may be fairly reasonable, say, $35.00 to test. After all, schools using this tactic don't want to scare you away before you've invested enough time that you'll be loathe to quit. But, with each step up in rank, the tests will become more and more expensive. Some schools charge more than $1000.00 for that coveted black belt, and they will not tell you this up front. Schools who use this sort of scheme know that after you or your child have worked so hard to meet your black belt requirements, you will pay that fee rather than give up that symbol of your accomplishment. You need stuff! : You need to buy a uniform! You need to buy a manual! You have to buy all of your sparring gear! Right away! Your very first day! Whether you are interested in sparring or not. Why? Could it be so if you leave, they've at least made a hefty profit on that gear? And what the heck are beginners doing making body contact in the first place? Do you really want somebody walloping the tar out of you or your child on the first day of class? Seminars: You need this $200. weekend class in order to advance in rank, but, it's not considered part of your regular classes for which you have already paid. Don't be upset, it's not "required"... you only need it, or one just like it, to advance. Totally up to you. Techniques so mystically mighty, we aren't permited to go to tournaments or show anyone what we do: Because, as P.T. Barnum said, "There's a sucker born every minute." And one more thing: Don't fall for a "guaranteed black belt" claim. No ethical school will promise you a black belt. No honorable instructor hands out rank on a timeline, or for a set fee. That's like buying a college diploma on the internet, and it has as much value. A worthwhile black belt will be earned. And that's what it's all about, isn't it? Not what you wear around your middle, but the hard-won wisdom of mind, heart and spirit. You can buy a black belt in any martial arts catalogue. But knowledge must be earned - with effort, not with cash. Brian Baker receives his black sash.